The Auditor General of South Africa (AGSA) reported on its investigations into the challenges existing in key South African foreign missions, while the Department of Home Affairs (DHA) briefed the Committee on the Home Affairs National Identification System (HANIS) upgrade, the border management plan for the festive season, and the identity document (ID) distribution campaign. AGSA said it had focused its investigations on the missions in Nigeria, India, the Democratic Republic of Congo (DRC), Angola and Mauritius. The Committee was told that the foreign missions were experiencing challenges because of the high number of applications, fraudulent documents and a lack of capacity to process the visas. One reason for the challenges was because Visa Facilitating Services (VFS) Global accepted too many applications, which they would then forward to the DHA officials to process. Also, the storage of applications was highlighted as a challenge, as many applications being stored in toilets, passages and warehouses. AGSA recommended that the Department of International Relations and Cooperation (DIRCO) officials who assisted the DHA to administer the visa process should be trained to assess risks and perform due diligence. The Department should increase the capacity of officials to deal with applications by sending more staff to the foreign missions where high risks existed. The Committee emphasised that the issue of illegal immigrants had to be tackled. The Committee asked if it was possible to increase the charges for visas, and also to arrest and sentence illegal immigrants as a deterrent. It urged the Department to collaborate with other government departments to balance competing interests. This collaboration would be important to stimulate economic growth by attracting tourists. The Committee was disappointed at the slow progress in completing the procurement of the Automated Biometric Identification System (ABIS) that was set to replace the Home Affairs National Identification System (HANIS). The Committee expressed concern about security of information involving the state and its citizens during the transition period. The Committee was also briefed on the operational plan to deal with increased cross-border activity during the festive season. The plans included an increase in operating hours at ports of entry and increasing human resources at borders, to ease the movement of goods and people. The Committee welcomed the plans, and was satisfied that the Department was working with all the border agencies. The Department told the Committee that there were a lot of Smart ID cards that were uncollected and lying at its offices. As part of the ID distribution campaign in preparation for the elections, it was encouraging people to collect their IDs through different platforms, like community radio stations, imbizos, Facebook pages and automated SMSs. The Committee was concerned about the high number of uncollected IDs, and asked the Department to provide a breakdown of the areas with the most uncollected IDs so that Members could also engage their constituencies. The Department was encouraged to work with the Independent Electoral Commission (IEC) so that people could collect their IDs and register at the same time. The Chairperson said that in August 2018, the Committee had received a presentation from the Office of the Auditor General (AG) concerning an investigation into foreign missions. The investigation was to look at key fundamental issues relating to service delivery and the capacity of the state to provide such service. The inquiry by the AG focused on services provided by Visa Facilitation Services (VFS) -- a private company which facilitated visa services. The Committee and Department of Home Affairs (DHA) had been dealing with the issue of VFS for a long time, and had been looking at the capacity of the state to provide visa services. He hoped that the Department had engaged with the AG on the report and findings concerning the provision of services in foreign countries. The meeting was not going to deal directly with VFS, but the services provided by VFS. The Committee had taken a decision in one of its previous meetings that the contract of VFS should be reconsidered. The decision taken by Committee on the contract of VFS was being adopted by Parliament. There was a need to understand the challenges and how to move forward with a clear common understanding. A state should never fail to provide services, because people would opt for illegal methods. He indicated that in the morning there had been news that the South African Police Service (SAPS) had done a raid in Marabastad, where private home affairs activities were being run illegally. If the country could provide appropriate services, there would not be fraudulent documents being issued illegally. The DHA’s inspectorate was not functioning well in combating illegal immigration. The Department had not dealt with the security of the documents and illegal immigrants that were still acquiring documents. As a result, the Border Management Agency (BMA) had been instituted to deal with the challenge of illegal migrants. He said there might be a need to have another agency that would address the challenges faced at the borders. There were weaknesses in the Border Control Operational Coordinating Committee (BCOCC) which were not able to be addressed. The Border Management Authority Bill was still before the National Council of Provinces (NCOP). The meeting was going to enrich the process of finalising the Bill. While it was still before the NCOP, it was important to look at the gaps which could be dealt with in the Bill for through amendments. Regarding the decision taken on VFS, he said that the capacity of the Department had to be considered carefully, since the country could not rely on its services. The VFS would dump the applications at the foreign office of the Department for them to be processed. The DHA was not able to process the applications timeously because of capacity. For instance, in India there were only four employees deployed to process visa applications. In Nigeria, there were only two staff members deployed to process hundreds of applications on a daily basis. Having considered the AG’s report, there was supposed to be an agreement between the Committee and the Department on what should be done to address the identified challenges. The reality was that the Department was not able to provide adequate services. Furthermore, the Department of Police had made comments concerning services of EOH – an information technology (IT) company which provided services to the DHA. The Home Affairs National Identification System was coming to an end, and would be replaced by a new system. The Committee was interested in knowing the new system, how the Department arrived at the appointment of the new company, and how the security of information of the state would be protected. He said some IT companies appointed by the Department were taking away the entire data of citizens when the contracts came to an end. Some were in possession of important information about the country which they were not supposed to have. He therefore wanted to hear from the DHA about the security issue which the Department of Police raised. He had invited the Portfolio Committee on Police to attend the meeting, but could not do so. The Committee had also wanted the National Treasury to attend the meeting. He reiterated that the security of the country and the security of information of citizens were critical. There was a need to ensure that the people who came into the country had genuine documents. Furthermore, it was vital for voters to have their identity documents (IDs), since next year there would be elections. The reality was that people were flocking to the offices of the Department to get their smart ID cards. The Committee wanted to know the Department could deal with the pressure in light of the elections. He said the inquiry into the naturalisation of the Gupta family was not going proceed, and that the Committee would engage on the matter at a later meeting. He added that there was a debate in the Parliament concerning the Civil Union Bill, and Members had to attend the debate. Ms Zolisa Zwakala, Business Executive: Auditor General of South Africa (AGSA), said that the AG had collected information on foreign missions, focusing on Angola, the Democratic Republic of Congo, Nigeria, India and Mauritius. South Africa had two types of missions -- VFS missions and non-VFS missions. The VFS missions were the ones with VFS Global providing services, and the non-VFS missions were where applications were directed to the mission. In the foreign missions, it was noted that there was a conflict of priorities between the DHA and the Department of Tourism. This conflict had been raised with the Director General, with National Treasury involved. It was therefore important to determine a balance in order to protect the ports of entry while advancing the tourism agenda. The AGSA also observed that there was poor risk assessment, particularly in the VFS missions, because VFS collected many applications and forwarded them to the officials. In Nigeria, it was noted that some applicants submitted fraudulent documents. As a result of the failure to do a proper risk assessment of documents, some applicants would be granted a visa base on fraudulent documents. Furthermore, there were some foreign missions with many applications which could not be processed due to the limited staff capacity. Additionally, there were many applications where the officials would not be able to verify the authenticity of the documents and perform risk assessment or due diligence. Mr George Goshe, Senior Manager: AGSA, said the reason why the AGSA had done the investigation was because there were a lot of foreign nationals who had documentation and visas, but were being declared illegal immigrants. In order to address this problem, the AGSA had gone to the immigrants’ home countries to determine what the problem was. Before VFS Global started providing services, applications had been submitted directly to the missions. The officials would collect the applications in the morning, and controlled the number of applications to be submitted. However, when VFS started to collect the applications, it collected more than what the officials could process. For instance in Lagos, VFS would collect more than 200 applications per day, whereas in the past officials used to control the number. Because of the high volume of applications, the role of VFS was only to collect applications and submit them to the DHA for adjudication. VFS would pay the tariff or visa fee to the Department for the type of visa being applied for, and then the applicants would pay VFS directly for the administration fee. The AGSA had observed some risk in missions where the Department of International Relations and Cooperation (DIRCO) officials were handling applications. In Mauritius, it was noted that an applicant -- a Nigerian national -- had a visa to stay in Mauritius, which was due to expire in March 2018. He had then applied for a holiday visa to come South Africa for 30 days. That person had made an undertaking to return to Mauritius, but the visa had expired. This issue had triggered an interest to ascertain what was really going on. Therefore, the AGSA had recommended that there should be proper training of DIRCO officials for them to assess applications properly. In Nigeria, there were two missions which were visited, in Lagos and Abuja. Both had two officials from the DHA. The number of applications received in both missions was too high for the few officials to properly assess the applications and assess all the risks. When the AGSA officials were in Lagos, they collected a sample of applications to audit. The lady who had given them the sample later asked them if they had seen that the applications had fake documents. The AGSA officials had not seen that the documents were not authentic. Therefore, there was need to carefully scrutinise all applications to ensure that no applicant would receive a visa by submitting fraudulent documents. The DHA officials were under pressure and working during the weekends. The AGSA therefore recommended that the Department should increase the capacity and deploy more officials so that the risk could be reduced. The second line of defence was the airports, to check if documents were authentic. It was difficult to understand how a person would enter the country through the OR Tambo airport and other ports of entry without the officials also detecting any fraudulent documents. Another important aspect to be considered was the cost of deporting the people when their visas expired. There was no money available for this because of competing national priorities. Therefore, proper checks in the foreign missions could reduce the cost of deportation, if only qualifying applicants were admitted into the country. The number of applications lying in foreign missions offices was worrying. For instance, in Nigeria and the DRC, applications were being kept in toilets and garages because there was not enough space to accommodate and keep documents. The AGSA had raised that issue with the Department. The officials in those missions were pleading for the Department to intervene. In India, some documents were being kept in warehouses and passages as storage. The missions would have to pay for the warehouse space. The AGSA informed the Department to intervene and ensure that the applications were processed faster, or destroyed. In the DRC, there was also the same problem of storage and the high volume of applications received in relation to the capacity of officials. In was noted that in Lubumbashi, there were DIRCO officials who were using a manual system because the online system was not working. The risk with the manual system was that sometimes the fraudulent documents could not be detected. The Department also aware of the issue, and the AGSA hoped that it would intervene. Another observation in Lubumbashi was that officials were receiving applications directly from applicants, instead of going through VFS. The risk associated with that was that there could be fraud and corruption. The AGSA noted that there was some money which had not been receipted. The DHA had been informed and now an investigation was being carried out. The same problem was noted in India with regard to the high volume of applications and the limited capacity. Another issue observed there was that some tourism officials intervened so that the applicants would be granted tourist visas. There was a need for alignment between the Departments of Home Affairs and Tourism to ensure that official processes were followed. The Department of Tourism may achieve its mandate when the tourists visited South Africa, but when the tourists overstayed and became illegal immigrants, the Department of Home Affairs would be faced with the problem of having to deport the immigrant, using money from its budget. The Chairperson said it was embarrassing that there were only two officials in the Nigeria mission, knowing how many Nigerians wanted to come to South Africa. He said there was an influx of skills from India into South Africa. The USA had closed its borders and was refusing to allow immigrants. However, South Africa was receiving a lot of foreigners. Hence, as a receiving country, it should be prepared to address immigration challenges. The majority of restaurants in South Africa were employing foreign nationals. The Department of Labour had to inspect restaurants, because they were not employing South African nationals. The foreign nationals had integrated well with South African communities, but the important issue was security and the capacity of the state. He agreed with the AGSA officials that there should be a balance of interest between all departments. One could not run a country without the records of people living in the country. The police had indicated that some people arrested did not have fingerprints recorded anywhere. The issue was whether the country had the capacity to provide immigration services. He urged Members to assist the Department to address the immigration challenges. It involved not only for the Department of Home Affairs, but other departments. Mr M Hoosen (DA) said most Members shared the Chairperson’s passion about how to protect the country and also to assist the Department to provide visa services. The revenue allocation to the Department was critical. It was unreasonable for the Committee to have high expectations when the budget of the Department did not allow for them to deliver on all the expectations. The Department should have the right budget to meet the expectations of the country. There had to be a balance of priorities. On the one hand, the government wanted to increase the number tourists, while the security of the state was another issue. It would be impossible to achieve both if there were no resources invested. Unless the Committee raised the issue of funding, the problem would get worse in the next five years. He repeated that the government could not control the people coming into the country unless it had the money to do so, neither could it deport illegal immigrants without money. The Chairperson agreed with Mr Hoosen, and said the budget should meet the priorities. The budget of the Department had not been increased over a period time, and these comments would be noted as part of the way forward. Ms N Dambuza (ANC) said the presentation had helped Members to understand what was happening on the ground. The Committee had to engage with National Treasury to address the financial constraints. She was of the view that the issue of exceptional skills was problematic. Most of the foreign nationals who came to South Africa would perform tasks that did not require critical skills, and many had the same skills that South Africans had. This challenge had to be addressed. Fraudulent documents were another big problem. The Department had shared the information with the Committee that there were a lot of fraudulent documents which were being used to apply for visas. Additionally, there was a problem with VFS collecting fake documents and giving them to the Department. She did not see the DHA benefiting from VFS, since it also collected fraudulent documents and forwarded them to the Department. Officials of the Department were also complaining there was corruption within the VFS. It was presenting a lot of challenges to the officials because they would have to start afresh and re-verify the authenticity of the documents. The Chairperson said the AGSA’s report enlightened the Committee, and it had become clear that there should be an intervention at all the missions in the DRC, Nigeria and India. The Department had to note the concerns which were being raised by the Members and come up with measures to intervene urgently. Mr M Kekana (ANC) said that he was happy with the AGSA’s report, and agreed that there should there should be a skills audit of Home Affairs officials so that they could do their work properly. Some officials of the Department did not understand how to do their work, or how important the DHA was to the country. It was a fact that VFS had been hired irregularly. The Committee had told the Department that the VFS contract had not been done properly. By awarding the contract to VFS irregularly, the Department had sold the country, because Home Affairs was a key national department. He had once asked the former Director General (DG) why Home Affairs offices were guarded by private security companies. Even the former DG did not understand how important the Department was. He also agreed with Mr Hoosen that the financial aspect was also an important factor. However, it was not always the answer, since people could be corrupt. When someone had stolen money, it would be declared irregular expenditure and thus nothing would happen, even though the law was clear that the person should be prosecuted. Furthermore, the Department had to work with SAPS to arrest illegal immigrants. He said there were employees of the DHA who were doing nothing but getting paid. To address the problem, it had to start with the supervisors and all the managers, right up to the DG, to understand what was happening on the ground. They should ensure that all employees were doing their jobs properly. He repeated what the Chairperson had alluded to, that all restaurants were employing foreigners who were illegal immigrants, but the DHA and the Department of Labour were not doing anything. He asked why they were quiet and not taking action. The entire leadership of the Department should be assessed about their role. He asked officials from the AGSA to advise the Committee on what needed to be done if the Committee was to replace VFS. Mr DGumede (ANC) was worried about the efficiency and funding of the Department. He asked why the Department was not utilising microfilm technology to improve efficiency. To address the funding challenges, he asked if it was possible to impose a charge on people travelling across borders, so that the money could be given to National Treasury to increase the revenue of the Department. He said people exiting Zimbabwe were charged US$10 when they left country. Tourists could be charged because some of them used currencies that were much stronger than the Rand. He said tax efficiency had to be explored. There had to be deterrent measures, particularly for people who forged documents or used fraudulent documents. The illegal immigrants had to be arrested and sentenced, because it was a serious offence to violent immigration laws. Violating immigration laws had security implications for the country. The country did do not know whether there was Boko Haram or ISIS in the country, so illegal immigrants had to be deterred. He pleaded with the Committee and the Department to work with communities to identify illegal immigrants and deal with the issue once and for all. People in the communities were also not happy, which was why there was xenophobia. He was not happy that immigrants were not being deterred through the criminal justice system. Ms H Hlophe (EFF) said the AGSA’s report did not have recommendations. She asked for recommendations which the Committee could consider. She agreed with the issues raised in the report, and said when the chief whips had gone to Britain they had been shocked to see many applications which had not been processed by officials in London. The chief whips took a decision that they would engage with the Department. The Committee should continue to engage with the AGSA on various platforms to get more information which could assist the Department on how to move forward. Ms D Raphuti (ANC) asked who owned VFS Global. It seemed as if VFS was not offering excellent service, resulting in several challenges being experienced in the foreign missions. Had any forensic investigation been done in relation to VFS? She was of the view that a new company owned by South Africans should be hired to offer good service. VFS Global was interested only in profits while offering poor service. It was offering services to a limited number of foreign missions. She asked if there were any risks involved in working with VFS, and also whether the company was not Gupta-linked. Was it possible not to renew the contract with VFS and look for a South African company? There should be a way of assisting the DHA, because this was important for the country. 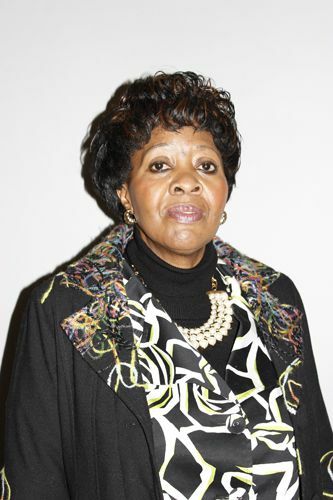 Ms S Nkomo (ANC) said the Department was aware of the report and the issues raised concerning the foreign missions. What mechanisms had been put in place by the Department to check the documents coming from VFS? She was worried about the state of affairs at the foreign missions, such as the storage of documents in toilets and passages or warehouses. Had the DHA ever thought of getting information on USB flash drives to avoid using paper? She was also concerned about fraudulent documents being used to apply for visas in Nigeria, and asked how the DHA and officials checked the documents to minimise risks. She also was concerned about the question of critical skills, because some foreigners entered South Africa without the required critical skills. Were the documents properly checked before granting critical skills visas to applicants? Did the Department have a mechanism for engaging other departments, like the Department of Tourism, to address the concerns raised in the AGSA’s report? She supported Mr Hoosen that there should be enough funding for the Department. However, the Committee would have to be consulted early so that it could make recommendations to Parliament, and there should be honesty to ensure that the money was used properly to increase the efficiency of the foreign missions. The Chairperson said the missions identified had been in key countries with the most problems. However, it did not mean that there were no problems in other countries. He asked the Department to respond to the concerns raised. Mr Thulani Mavuso, Acting Director General: DHA, said the Committee had once invited the DG of National Treasury to attend a meeting so that it could hear about the issue of funding. However, nothing had come out of the process. The Department had been allocated R7.9 billion as its budget for the current financial year. R2.1 billion of that budget belonged to the Independent Electoral Commission (IEC) and political parties, so the Department would be left with R5.8 billion. Of this, R3.3 billion would be used for surveys, so it would be left with R 2.5 billion to run its operations. The DHA had entered into an arrangement with Treasury so that revenue generated from the issuing and processing of documents like passports and visas could be given to the Department, and Treasury had agreed that the revenue would be given to the Department and reflected in the Appropriation Bill. Between April 2018 and October 2018, the Department had lost 422 positions because the positions were not funded. It was also not filling posts for staff members who resigned, since it did not want to overspend on the vote. This was a huge challenge faced by the Department. In the budget meeting, the Department had realised that it had projected an over-expenditure consisting of R57 million for salaries, R27 million for the festive season and R18 million for voter registration. When salaries were increased this year, there had been no additional funding provided. Many positions were being frozen because they were unfunded. Last week he had written a letter to Treasury requesting that some money be moved from business services to defray the cost of salaries so that the Department would not overspend. The Department was expecting the response from Treasury next week on Wednesday. The Chairperson asked at what point the Committee should be involved in the movement of money in the vote. Mr Mavuso replied that the Committee would be informed when the Department came to report to the Committee. It was important to ensure that the Department did not overspend. He agreed with the issues highlighted in the AGSA’s report, but the Department was unable to deploy more staff to foreign missions. This year, the Department sent only a few officials to missions. In total, the officials working in foreign missions were 41, which was not an ideal situation. Some missions in countries that did not require visas to come to South Africa were also informing the Department that they needed officials. Ideally, there was supposed to be a minimum of 250 officials in the foreign missions order to do civic work, and also to facilitate visa applications. He said it would cost close to R1 million in order to have at least one official deployed annually. In relation to the issue of records, the Department communicated with officials to destroy records after three years, and it was hoped that the numbers would be reduced to create more space. The Department had been classified as an administrative service for many years. The Chairperson asked Mr Mavuso to present the Department’s presentation, and to respond to the questions, later, as he wanted to hear the comments from DIRCO and the South African Revenue Service (SARS). Mr Mavuso said the Department was unable to fill certain positions to counter corruption. As a result, he was also the Director General for Counter Corruption and Security, Director General for Institutional Revenue Support and Acting Director General. The Chairperson asked what the implications were for service delivery and the ability to command and lead the Department. Mr Mavuso said the Department had gone to the Cabinet and argued that the DHA could not be classified as administrative service department. It had prepared a business plan and argued before the Cabinet. On 1 March 2017, Cabinet took a decision that DHA be moved to the security services cluster. There was a White Paper which the Department was presenting before the Cabinet dealing with the mandate of DHA. 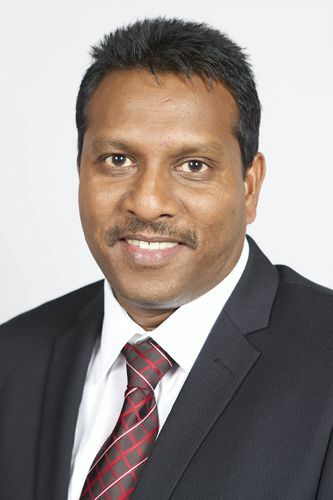 In relation to the issue that VFS Global had been hired irregularly, he said he had documents indicating how the tender was advertised, and the appointment process. A tender was published in 2010 and 2013, and companies had applied. He had given the documents to the Chairperson of the Committee. There was a process which had been followed. The appointment of VFS Global did not mean that they would continue to provide visa services forever. The Department was developing an e-visa system so that it could reduce its dependence on VFS over the years. The plan was to ensure that people could apply online so that the adjudication of applications could be done at the head office in South Africa, and not at the foreign missions. However, a challenge with that would be following up and determining whether the documents submitted were genuine. For instance, the inspectorate should be able to go and verify if certain applicants were married to South African citizens when adjudicating applications for permanent residence. This was because due diligence should be performed to verify the authenticity of documents. In 2010, the Department had developed a business model to transform how foreign operations were managed, and also because the issue of global migration was becoming a problem. There were also complaints from some partners, such a tourism and business, that DHA was not collecting applications and processing them on time. During that time, foreign missions would open offices at 9:00 am to collect applications, and close at 12:00. Therefore, there were people who would be turned away because they would not be able to lodge their applications, so there were many complaints to increase capacity and the operating hours. As a result, the Department had increased the number of offices in India were people could lodge their applications. Currently, there were nine facilities in India where applications were being submitted. In Nigeria there were three, and nine in China. Some of the facilities were housed by DIRCO. This was done to provide for the interests of tourism. The issue of critical skills visas was a major problem. He had gone to France, and there were French nationals who were applying for critical skills visas to come and teach French in South Africa. In Geneva, there were also people who were applying for retired person’s visas yet they were born in 1980. The issue of fraudulent documents was not because the officials were failing to do their work, but was because of applicants who were trying to get to South Africa using the available visa regime. The Chairperson asked Mr Mavuso to focus on the three countries -- Nigeria, DRC and India -- because they required urgent intervention. He asked when the e-visa regime would start, and the financial implications, as it would be impossible to implement certain measures without the requisite budget. He said only a quarter of the budget for the Department went towards operations, while the rest went to salaries. He asked if the Department should allow the status quo to remain because of the lack of funding, or if there should be a rearrangement of priorities. He said the foreign missions should not be closed so that they could continue to provide services. However, VFS also brought a lot of work to the officials, since there was no capacity. He urged the Members and Department to apply their minds and understand that there was a challenge, and make recommendations. Mr Mavuso said that the contract between the Department and VFS was not indefinite, so the DHA needed another model that would work. It wanted to increase capacity and respond to the demands. There was a demand to accept applications, but the capacity to adjudicate would also need to be increased. This was because the same officials who accepted applications would also have to adjudicate and process them. This was why VFS had been hired -- to reduce the pressure on officials. The Department was in the process of developing an e-payment system. There was, however, a challenge of the payment gateway. Currently all payments made in foreign missions were accounted for by DIRCO and deposited into the National Revenue Fund. The Department had been struggling with the issue of foreign revenue for a long time. However, it had been dealt with and he hoped that the e-payment would not create problems. There was also the matter of determining what constituted foreign revenue before the e-payment system could be piloted next year in March. The Chairperson asked how the Committee should deal with concerns raised pertaining to the countries investigated by officials from AGSA. He asked a representative from DIRCO to make comments. Mr Chris Chetty, Director: Consular Services, DIRCO, noted the observations in the report submitted by AGSA, and said some of the challenges were being addressed. With regard to performing DHA services, DIRCO officials were trained on immigration services. The training was being provided by Home Affairs officials. DIRCO would continue to help the DHA to address the challenges which had been identified. The Chairperson asked how often officials from DIRCO met and engaged with the DHA. He wanted to know if there was any formal relationship between the two departments. It was important for DIRCO and DHA to meet and present a workable plan on how to address the issues raised by the AG. Mr Chetty agreed on the need to have collaboration, and said there was no formal structure between the DIRCO and DHA. However, collaboration on financial issues existed between the Chief Financial Officers of the two departments. Ms Dambuza asked what the impact of adding immigration responsibilities to DIRCO officials on their work was. She also asked about the expenses that were being incurred by officials, and how this impacted on labour issues. The Chairperson underscored that there should be collaboration between all departments. The Chairperson asked officials from AGSA to comment on issues raised by Members, and to make recommendations. 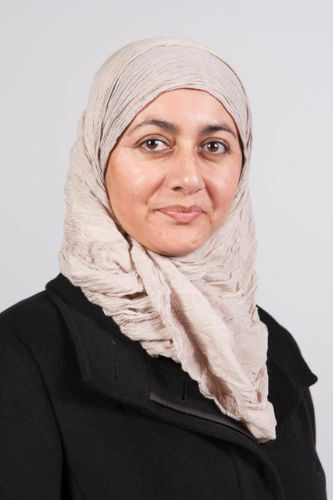 Ms Fatima Chohan, Deputy Minister of Home Affairs, said she agreed with the Chairperson that there ought to be collaboration among departments. The DHA was not adequately funded but it was important to ensure that there was effective inter-departmental collaboration. Further, there were people applying for tourist visas, but had no interest in staying in hotels. When Home Affairs rejected the applications, some people would argue that the Department was stifling investment and tourism. There were certain countries that the government intended to visit and market the country to attract more tourist and business people to come and invest. However, without the necessary checks and balances, it would be extremely difficult. There were self-funding options that could be explored. South Africa wanted to attract tourists who would be able to spend more money in the country, but the government was not willing to increase the visa fees to R5 000.Tourists who could afford high visa fees could also spend more money in the country. The government should be looking at the kind of tourists it wanted to attract so that money could be spent in the country and benefit the economy. She suggested that next time, the Department of Tourism should be invited so that the Committee could understand their position, as it could have a different perspective. She said if money was invested in the DHA, the country would reap more benefits because the right people would come into the country for the right purposes. In addition, money would be saved in other stratas of public service. Her suggestions were also in the business case that had been submitted to the Cabinet. The Chairperson thanked the Deputy Minister, and said all departments with an interest needed to collaborate. It would be helpful for the Director Generals of the respective departments to engage and develop a common understanding. The economic benefits of migration could be realised if all stakeholders worked together. He hoped that the White Paper to realign the Department as a security department would ensure that the Department performed its responsibility to deal with illegal immigration and deportation. Ms Zwakala said some of the key recommendations made had also been discussed with the foreign missions and the DHA. Some of the recommendations made included proper risk assessments to be done at all foreign missions. However, the selected countries were where investments were crucial, because they were the biggest drivers of the Department’s foreign revenue. The investigation had therefore focused on countries with high volumes and revenue. The Department should be able to identify the missions with high, medium and low risks, and determine what would need to be done in each category. It was not good for the citizens working in the foreign missions, considering the amount of pressure they had. For instance, the officials in Lagos had raised the issue of security because some Nigerians felt that they were being denied visas arbitrarily. She said that some measures could include screening, interviews and the addition of support in the high risk missions. Furthermore, the Department could consider limiting the number of applications received from the VFS. VFS would collect many applications because the more they collected, the more money they would make. The Department should therefore be in control of the number of applications so that it could match the capacity to deal with the risks. Some officials in the missions felt that they were being abandoned because there was no interaction with the Department. For instance, officials in Lagos were complaining that the Department was not responding to their requests. She hoped that the Department would increase communication with the foreign missions. She suggested there was need to regulate the attendance of conferences and religious pilgrimages. For instance, in Lagos, officials were complaining about the number of applications for conferences. However, they could not stop the citizens of Nigeria from attending conferences in the absence of regulations or policies. She therefore recommended that the Department should monitor and regulate the attendance of conferences from high risk countries. It would be critical for the Department to visit the missions frequently so that they could see and understand how officials operated. In addition, the contract with VFS should be revisited or renegotiated. Mr Goshe said he wanted to leave the Committee with food for thought. He said a visitor’s visa cost R425, but VFS charged an administration fee of R 1 500. In countries like India, where a visitors’ visa was for free, applicants would still have to pay R1 500 to VFS for the administration fee. It was critical to establish who benefited from the VFS contract. He said VFS was not only serving South Africa but also had contracts with countries. For instance, In India, VFS provided visa services for Australia, Germany, Netherland and New Zealand. Therefore the Department could also look into the arrangement of VFS with those countries. The Chairperson said Mr Goshe had raised an important issue, and said VFS was also an Indian company. It was essential to understand what should be in any contract that the DHA would enter into in future. The Committee would engage with the Department on future contracts. Ms Chohan asked if certain countries were given zero rates for a visitor’s visa. The Chairperson asked Mr Mavuso to make his final comments on the AGSA report. Mr Mavuso said that the observations made by the AG were being acted upon by the Department. It had sent more officials to the identified missions, but the capacity challenge remained. Regarding zero-rated visas for certain countries, he said that there were certain bilateral agreements which the Government had entered into with countries like India and Egypt. There were many countries that had bilateral agreements with South Africa. The Department had revised the tariff for visa fees, but it had not been approved by the Treasury. The visa fees and the charge for passports had not been revised for many years. He emphasised that the fees were low, compared to other countries. The Department had benchmarked and found that the DRC charged R2 500 for a passport, while South Africa charged only R400 for a passport applied from abroad. After revising the fees, the Department would be able to generate revenue of approximately R4 billion. He agreed with the Deputy Minister that there should be collaboration between departments. However, in some instances, officials who were deployed in the missions would feel like they were being overburdened by having to do something which was outside their core mandate. The Department would consider sending relief support to the missions. The Chairperson said there was a common understanding that there should be collaboration to control migration urgently. The Committee understood that it was important for the DHA to have the appropriate budget, but the priorities should also be aligned with the budget. He agreed with AGSA’s recommendations to limit number of applications, to relieve the pressure on officials. He had wanted to include the challenge of counter corruption as part of the meeting, since there was a lot of corruption at VFS. The VFS contract would be discussed at a future meeting and expose all the corruption going on. He reiterated that there should engagements with Department of Labour to address the employment of foreigners in restaurants. The young people of South Africa who were unemployed were being marginalised, and they would end up using drugs. There should therefore be quotas on the number of foreigners who could be employed by restaurants in order to accommodate young South Africans. The Department of Tourism had engagements with young people and train chefs and waiters who would provide services for the tourists. He told Mr Mavuso to ensure the DHA’s engagements with other departments focused on the bigger picture, and not only on visa applications. The President had recently made a call for opening the country to acquire more critical skills. However, there was no plan to ensure that the country acquired the right skills. The President’s call had specifically mentioned that the DHA should facilitate that process. He asked the Department to report to the Committee on the skills required by the country. The Department of Labour should be able to tell the DHA what skills were needed. There should be a seminar on migration for all departments to understand how to balance their different interests. He emphasised that the DHA had to report on how to minimise the risks at the countries that had been investigated. He did not think that the Department was taking the issues raised by the AG seriously. The recommendations made by the AGSA should be part of the way forward to address the challenges that had been identified. The Chairperson noted her suggestion, and added that the Department should be able to do proper oversight. He reiterated the seminar would have to be one of the projects to be carried out early next year. Mr Mavuso said the Department needed to upgrade the Home Affairs National Identification System (HANIS) software and hardware, which had reached the end of its support in 2014. The Department was however not funded on the baseline to do “Marpless” -- the technology refresher for HANIS. To refresh the HANIS technology, the Department needed R449 million. It was funded by the integrated justice system (IJS), a component of the SAPS budget. For the funds to be released, the Department had to follow a competitive bidding process, as required by the Public Finance Management Act. The procurement of the funds was done through State Information Technology Agency (SITA). In 2015, a project plan had been formulated by the Department through the collaboration of SITA and the Council for Scientific and Industrial Research (CSIR). The parties had set out the milestones. These included project scoping and statement; research studies on biometric trends; business requirements statements from the DHA and IJS stakeholders; analysis and design of the new biometrics systems; and an action plan to guide implementation of the new solution. Thereafter, the Department had appointment a cross-functional specification committee and proceeded to publish the technical specifications and request for accreditation from 22 April to 27 May 2016. On 6 May 2016, it had held a compulsory tender briefing which was attended by 69 companies. Out of the 15 bids that were submitted by SITA to the Department, four were approved after the Department had thoroughly conducted a quality assurance audit of the process before approval. In September 2016, the tender briefing was concluded after the publication of the bid specification to accredited bidders. Thereafter, the tender evaluation process was started and completed in March 2017. At the same time, the Department also appointed an independent quality assurance and audit body to quality assure the procurement process. The final tender evaluation report and a letter of recommendation to award the recommended bidder was received in July 2017. The Department had acquired the services of Gartner Technology professionals to review all the response documentation of EOH Mthombo in order to ascertain the solution delivery and approach to deliver the automated biometric identification system (ABIS) project. The conditional award of the bid was approved in August 2017, subject to completion of the contract and EOH sub-contrators obtaining a security clearance from the State Security Agency (SSA). The contracting process was started and completed on 30 November. The EOH had been contracted to deliver the system in two phases of 12 months, and to support the system for another period of three years. The Department stated that the ABIS project would be delivered in two phases. The first phase, which was a replacement of HANIS functionality, and was to be concluded in November 2018, had been delayed due to challenges of data migration from HANIS. In the meantime, SITA had contracted two data centres to host the new system. Therefore, the second phase of ABIS would commence in June 2019 to deliver other biometric modalities. Mr Mavuso told the Committee that the HANIS system was still running all the Department’s programmes, but Department had scheduled a meeting with Marpless and its sub-contractors to discuss the support for the continuity of HANIS until ABIS took over. To ensure the smooth transition of data, ABIS and HANIS would run in parallel. The Chairperson pointed out that the Commissioner of Police had identified EOH as a threat to the security of the information of the state. Therefore, the Committee would like to know the ownership of the company. EOH had made it clear to the police that they would switch off the system if they were not paid, and this would affect security. The intention was to invite the Portfolio Committee of Police to give their view. It was important to invite all security departments -- the Police, Justice, SITA, Home Affairs and Correctional Services to discuss the security of the information of the state concerning EOH. The Joint Standing Committee on Intelligence should also look into the matter. It was important to know who was in control of the information so that people did not use it against the state. All companies in control of the information of the state should be credible. He added that some of the people involved in EOH had been involved in the security forces of the apartheid government. The issue would be further discussed next year by the all security committees and the executives. Mr Kekana seconded what the Chairperson had said. He said no company should continue operations with the DHA when there were many questions that needed to be answered. Mr Gumede said the best brains should be put together to see how the issue of security could be addressed. He urged Members to be objective when dealing with the issue. Mr Hoosen said most of the ICT companies were interested in continuing to generate money. The level of dependence of the Department on EOH was worrying, since they would support the DHA for another three years. He wanted to know the level of dependence and how critical it was for the Department’s operations. He asked if the Department was certain that the EOH system would not crash between now and May 2019, before the ABIS could take over. He also asked for the names of the people who had been on the cross-functional specification committee. Ms Kenye asked if the Department was not tampering with the expenditure by using both an automated and manual system. She was also worried that there were no timeframes as to when the manual system would stop, and when the “go live” would become operational. Mr Mavuso replied that he welcomed the suggestion by the Chairperson to engage with all security departments and the committees. The Treasury should also be part of the engagement. When the Department developed HANIS, it did not want to get into a tender process. The Department wanted to bring developers from a certain country that would develop the system for the South African Government. When the Department presented the project to the Treasury, the Treasury had not supported it. The Department would not like to move citizen’s data after every five years. It had wanted to develop the source code which would be owned by government, but that did not happen. He added that SITA was supposed to create the technology infrastructure and data centres that could be utilised by the government, since it was important to have proprietary software. He said Marpless would not leave with any information, because the process of de-commissioning would involve many players like SITA and other security departments. Regarding Mr Hoosen’s question, he said the current system could crash anytime because the crisis had existed for years. The Department had had to follow a tedious process and could not proceed. In December 2017, at the production site, the disk could not function because it had broken. As a result, some of the spares for HANIS were not functioning. He agreed that there was a dependence on the proprietary software of companies, since the Department did not own the source codes. He was not aware of the names of the people who were part of the cross-functional specification committee. He would have to check the names, since he had not been part of either the bid evaluation or bid adjudication process. In relation to the question raised by Ms Kenye, he said it was important to run the system parallel to each other in order to mitigate the risks of having a shutdown. It was important to run both systems for a reasonable time. The timeframe for when the old system would be switched off had not been determined. The Chairperson asked how the procurement process between the DHA and SITA worked. Mr Mavuso said the procurement process was governed by the SITA Act. Mr Gordon Hollamby, Chief Financial Officer: DHA, said that in terms of the SITA Act, there were mandatory services and non-mandatory services. Mandatory services -- networks and ICT systems -- were compelled to be procured through SITA. He said the Department had also formed part of the specification committee, together with SITA, to develop the needs assessment. SITA would have its own procurement processes that should be followed for the transversal contract. The HANIS and ABIS systems would not fall under the transversal contract. Therefore, a departmental bid process should be undertaken, but the process would be facilitated by SITA. SITA and the Department would also involve their own internal and external auditors to ensure that the process could be transparent, so the process always had checks and balances. The meeting adjourned for lunch. After lunch, Mr Gumede chaired the meeting. 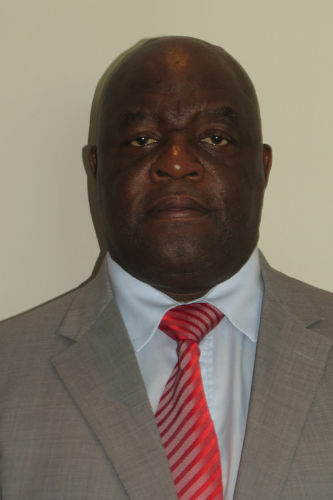 Mr Elroy Africa, Project Manager: Border Management Agency, DHA, reported that in preparation for the effective and efficient facilitation of movement of people and goods during the 2018/19 festive period, a consolidated Festive Season Operational Plan for the border environment had been prepared by all relevant stakeholders. All stakeholders at ports of entry and partners from neighbouring countries had agreed to a comprehensive operational plan to support the facilitation of all movements into and out of South Africa. There were a number of dependencies, and it was a critical requirement to ensure that these dependencies were carefully addressed in time to ensure effective service delivery at ports. During the last three end-of-year festive seasons, Lesotho and Zimbabwe had recorded the highest movement of people in the Southern Africa region (SADC), while Seychelles and Madagascar had the lowest. In the same period, the Beit Bridge border post and Oliver Tambo International Airport were the most frequent ports used. The highest number of people who had departed or entered South Africa had come from African countries, or were destined for African countries. Central to the success of operations during the peak periods was the need for a comprehensive plan to support port operations, but more importantly a sound execution of the plan and an operational concept that was underpinned by a risk-based and intelligence-driven operational philosophy. The operational vision was to secure the border environment so that only legitimate people and goods were allowed to enter/depart South Africa. The first phase of planning included the completion of individual operational plans for ports of entry that consisted of a request for an extension of operating hours and infrastructure requirements, which had been approved. Stakeholders were in the process of adding more staff and consolidating the operational plan at a national level. The second phase, which entailed execution of the approved operational plan, would start from 5 December 2018 till 9 January 2019. This phase would include the operations that were to be conducted daily, in line with the approved plan. In addition, it was imperative that adequate and appropriate responses were put in place to address all risks by means of contingency plans. Lastly, the third phase would be the demobilisation and withdrawal from deployment areas from 10 January 2019. Thereafter there would a debriefing of the 2018/19 Festive Season Operational Plan. The different stakeholders who would facilitate the movements during the festive season were the DHA, SAPS, SARS, the Departments of Environmental Affairs, Transport, Health, Department of Agriculture, Fisheries and Forestry, and the South African National Defence Force. The Minister of Home Affairs had approved the extension of operational hours for all ports of entry. The extension of the operational hours would run from 5 December 2018 to 9 January 2019. Furthermore, a critical vulnerability in port operations when operational hours were extended, was the requirement for the deployment of additional staff at ports of entry. Therefore, the stakeholders would increase their staff at the ports, and also provide for overtime in the absence of extra staff being deployed. Additional infrastructure would also be deployed to certain ports of entry, such as Beit Bridge, Lebombo, Maseru Bridge and Kosi Bay. Maritime activities were also planned by the initiated project in the coastal areas, with a specific focus on the Northern Cape, the Western Cape, the Eastern Cape and KwaZulu-Natal. These activities were incorporated in the Operation Phakisa under the leadership of the Department of Environmental Affairs. The idea was to conduct stops and searches, crime prevention, compliance inspections and investigation operations. The South African border environment was perceived to be characterised by poor controls and weak management that adversely affected the territorial integrity of the country. The high volume of people and movement of goods during the festive presented security dynamics and risks, such as fraudulent travel documents, illegal stamping of travel documents, personnel integrity challenges, undocumented persons, poor access control and runners, and challenges with clearing agents. To combat the security challenges and risks, the operational plan identified specific actions and interventions to address them. As such, a mitigating plan to deal with the risks had been devised, and the Department would report to the Committee on how the process unfolded. Mr Thomas Sigama, Acting Deputy Director General: Civic Services, DHA, told that the Committee that the Department was responsible for population registration, the determination of citizenship, and the issuing of enabling documents such identity documents (IDs), passports, birth, marriage and death certificates. In terms of the provisions of the Identification Act, 1997, the Department was responsible for the processing of identity documents for all South African citizens. These documents would be issued on application and enable holders thereof to identify themselves for general purposes and day to day activities in society, including for voting purposes. The number of smart ID cards issued by the Department had increased drastically over the last five years, while the number of green barcoded ID books had decreased. However, there were several smart ID cards which had not been collected by the owners, and were lying in the Department’s different provincial offices and at the head office. The Gauteng and KwaZulu-Natal provincial offices had the highest number of uncollected smart ID cards. A total of 345 518 smart ID cards across the country had not been collected. In addition, there were also green barcoded ID books that had not been collected, totalling 37 857 across all provinces. Some of the smart ID cards could be collected at banks that are linked to the e-Home Affairs. Because of the high number of uncollected IDs, the Department had devised a campaign for the distribution of the IDs. The Department had first identified the areas with uncollected IDs and Smart ID cards. Currently, the provincial offices were working with stakeholder forums to deploy mobile units for people to collect their green barcoded ID books. The Department was also enlisting the services of community development workers (CDWs) and compiling lists of places where they had to collect their ID’s, and for door to door distribution of lists for uncollected identity documents lying in offices and the Government Communication and Information System. Moreover, the Department was using outreach programmes, joint programmess with other departments, imbizos, posters, pamphlets and social media, to encourage people to collect their IDs. Other strategies which were being used by the Department to promote ID collection included Facebook pages, use of community radio stations, loud-hailing in rural communities during outreach programmes, short message system (SMS) notifications to clients, and arranging mobile units to distribute IDs to inmates at prisons. Of the 19 new mobile units, three were functional and the Department had also installed the new live capture system for smart ID cards in the mobile units so that applications could be processed. The old mobile units could also process the green ID book applications, but did not have the Smart ID card system capabilities. In preparation for the elections, the Department would continue to place radio and print advertisements, electronic billboards at transport transit points (taxi and bus terminals, and airports) for people to collect their IDs. Furthermore, the Committee was assured that the Department would provide information on DHA operations during the voter registration weekend of 26-27 January 2019. Ms Nkomo said the presentation had shown only the number of uncollected IDs per province. She asked if it was possible to break down the areas where the majority of the people had not collect their IDs. The Chairperson said that all Members were involved in the election campaign, so they had an interest in knowing the specific areas with uncollected IDs so that they could communicate with their respective constituencies. He said the Department had not talked about R18 million for the ID campaign, and wanted to know how it was going to spend it. He also wanted to know why the Department was not using the old mobile units for the new live capture, rather than buying new vehicles. He asked if there were any uncollected Smart ID cards that had been destroyed. How much would it cost to produce the new smart ID cards? He asked if and how the Department cooperated with the IEC regarding the ID campaign in preparation for the elections. Ms Hlophe agreed with the Chairperson that all political parties had an interest in knowing the number of uncollected ID cards. She asked if the Department had a plan to ensure that people without IDs would apply in time and register to vote. The issue of the fleets had been one of the challenging matters that had been raised by provincial managers at one meeting with the Committee. She was surprised that the Department had only 19 vehicles to serve the whole country. She was worried that out of the 19, only three were functioning. She asked for a report on the fleet, and how the Department would address the matter. She was worried about the long queues at the Department’s offices when people went to apply for the new smart ID cards. She was also worried that the Department’s system had not been working for the past two weeks. The long queues were worrying because there had been a campaign launched by the previous minister against long queues, and she wanted to know about the progress of the campaign. Ms Kenye said she was worried about the high volume of uncollected IDs in view of the fact that the people would have to register to vote by 27 January 2019. She asked if the Department could use the old vehicles to distribute the IDs, particularly in rural areas. It was critical to utilise the mobile fleets so that people would get their IDs and be eligible to register and vote. Mr Gumede asked if there were any resources that had been put in at the new port of entry at Kosi Bay, where a freeway bridge had been built. Mr Mavuso said that the Department would do a breakdown of the areas with uncollected IDs, and would give it to the Committee. With regard to the mobile units, the Department had first bought three vehicles for the new live capture. After using the three as a prototype, the Department had later bought 16 mobile units. All the equipment for the live capture had been installed, except cameras, because the model for the cameras was not compatible with the system. When the cameras were installed, the fleets would be distributed to all provinces. The 59 old vehicles had also been refurbished and the live capture system was being installed. By the end of the financial year, the Department would have 78 mobile units with the live capture system. He said the Department realised there were a lot of long queues at the beginning of the year. The reason for that was that most people would visit the offices in January when preparing for children to go to school. As a result, the Department projected that it would need R18 million to open its offices for long hours and cater for the voter registration process. He said it cost R140 to apply for the new smart ID card, and that people above 60 years of age would not pay when applying for the first issue. People in distress, and where shacks had been burnt, would also be exempted from paying for the new smart ID card. He said there was a total of 270 000 reissued IDs that were uncollected. When people lost their IDs, they would apply for a new one but would be given a temporary ID while waiting for the permanent one. He said the majority of the 270 000 IDs were for people who already had the green books. Therefore, they could use the green book for registering to vote. The Department was encouraging young people who never had IDs to apply. The Chairperson reiterated that collaboration between the Department and IEC was very important. The reason he had raised the issue of the IEC was because it was currently struggling with voter registration. He therefore suggested that it would be better for people to register on the same day after collecting their IDs. He wanted to know how the Department was working with the IEC. Mr Sigama said the Department and the IEC were working together on different platforms. The IEC had access to the DHA’s system through a live interface so that when one applied for an ID, the IEC would also get an update automatically. Furthermore, the DHA officials also briefed the IEC on all changes. In regard to voter registration, the Department had opened its offices to work IEC officials and had aligned their working hours. The Department had not disposed of, or destroyed, any smart ID cards because of the durability and cost involved. There was a process that had to be followed before an ID could be disposed of. Before the ID could be destroyed in the provinces, they would need to be tracked back to the head office for listing, to check if the people were still alive or deceased. Currently, the Department was not destroying the smart ID cards. He said the Department would open its offices for extended hours from 2 January 2019 to 11 January 2019 for people who wanted to apply for IDs. The offices would be also be open during the weekends on a voluntary basis. The Department would provide a list of offices that were going to open during the weekends. The Department was using the existing fleet to distribute IDs to various communities. Mr Sigama said the operating hours for Kosi Bay had been increased, and the Department had also increased the number of officials. On 12 December, Netjoint would visit Kosi Bay to see how the different stakeholders would be facilitating the movement of people across the border. The Chairperson said the Committee also wanted to have a report of all harbours next year, since the reports from the Department focused only on the land and airport ports of entry. He was happy about the cooperation with all the departments on border management. Conversely, he was disappointed that some other departments, like the Departments of Agriculture and Environmental Affairs, had not attended the meeting. He hoped that all border management agencies (constituting all departments) would work together, led by the DHA. The Chairperson said the planned Gupta Inquiry meeting would not take place. Nonetheless, the Committee had resolved that Mt Ashu Chawla and his the lawyer were supposed to be summoned to appear before the Committee.